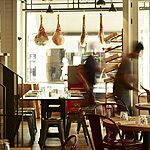 Jamie Oliver continues his passion for Italian cuisine with his chain of restaurants - Jamies Italian. The emphasis is on fresh, seasonal rustic dishes which you can enjoy in an informal setting. I'd always wanted to go to one of Jamie Olivers restaurants and I certainly wasn't disappointed. The food was gorgeous and the service was excellent. This is supposed to be a rustic Italian restaurant and it really achieved it's goal. The food is true to the original. My only complaint is that the prices are not indeed commensurate with ordinary Italian food. The pizza restaurant downstairs is also terrific. I've heard that it's not all that,his chefs aren't trained properly and the food you are tasting comes out of a packet made in a Jamie Oliver HQ factory which shows that the people cooking the meals in the restaurant obviously cannot cook themselves.Good luck to the place i do like Jamie Oliver but I'm going to be much more successful in my life as a chef than they shall. Although not being able to book and having to stand on the street whilst waiting to be allowed into the bar cooled my ardour for Jamie initially. Once inside and after the first sip of my Bellini I loved this place! we were seated very quickly and our waiter was very attentive whilst not being intrusive. The yellow fin tuna salad was out of this world and the chips disappointing in their smallness - though only because I could've eaten a whole crate of them! I would definitely recommend visiting here, it's not as expensive as you might at first think and you do feel as if Jamie might walk in at any point! Top place if u want to meet after avin a J rfur! Jamie’s Italian is on George Street, Oxford's main hub of nightlife which is gradually being upgraded to somewhere you might want to go for a civilised meal and a drink. It sits within walking distance of all the major attractions and several reasonable bars and pubs but, as with the rest of Oxford's restaurants, there is very little parking nearby. Decor is stylish and modern, with polished wooden floors and a bar that wouldn't be out of place in some of London’s more salubrious venues. There's also a TV screen where you can watch what's happening in the kitchen. 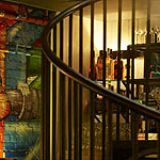 A spiral staircase leads down to a further dining area where the walls have a more 'urban' motif of colourful graffiti. Attention to detail seems to have been paramount when designing the interior of Jamie's Italian and even the loos have a trendy, European feel to them. It's worth noting that Jamie's Italian does not take bookings, except for large groups, and you will have to wait outside before giving your name to the host who then shows you to the bar for a drink, before eventually taking you to your table. By the time you get in you will have queued for at least 30 minutes, but once inside the atmosphere will immediately dispel any sense of annoyance and frustration. There is an incredible buzz about Jamie's Italian which makes it feel exclusive and you feel like you are part of something special. The staff contribute to this feeling and are polite, enthusiastic and energetic, if a little slow getting the food to you. The menu is inspired by "what normal people are eating in Italy" and is wide and varied with lots of dishes that go beyond the traditional pizza/pasta image of an Italian restaurant. The food is sourced locally with traditional ingredients imported direct from Italy. You can start with "the world's best olives" (large meaty Nocellara olives with a delicate nutty flavour - highly recommended) and bread with olive oil and a delicious tangy balsamic vinegar, and then move on to a choice of antipasti served on "planks" at £6.50 per person - great to share. If you prefer to have your own starter there is a range of smaller options such as crispy squid with roasted red pepper mayo and baked chestnut mushrooms with smoked scatmotsa cheese, prices range from £2.50 to £5. A range of pasta dishes are offered in two sizes, a smaller dish at £6 for those who are planning to have pasta and a main course, and a larger main-sized portion for £10. Offerings include the old favourite spag bol, but for the more adventurous there are options like turbo penne arrabiata and a delicious sausage pappardelle. If you don't want pasta you can choose from a range of mains for around £15, which include steaks, a chargrilled Catherine wheel sausage and a beef carpaccio and rocket salad which, while tasty, is somewhat overdressed and fails to allow the flavour of the beef to come through. At last, an Italian restaurant that serves beer other than the ubiquitous Peroni. Jamie’s Italian offers two bottled beers, Messina and Castello, and you should try both before deciding what to drink for the evening. They also offer a range of cocktails including a rather delightful espresso martini. 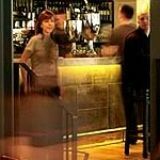 The wine list is predominantly Italian and all wines are available by the glass. The usual range of soft drinks and spirits are available and Illy espresso is available to finish your evening. 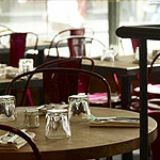 A pleasing and lively restaurant with a great atmosphere, spoilt somewhat by the insistence on making you queue outside. The food, while not exceptional, pleases all but the fussiest of gastronomes and there is something to suit everyone’s budget. Well worth a visit, but go during the week if you want a quick bite. Mediocre at best. What a disappointment. The food was edible and not bad enough to complain about but certainly unworthy of a return visit.